Home CDN , children , crafts , feature , February , holiday , holidays , homeschool , papercrafts , printables , US , worldwide February 17th - Featuring Michael Jordon Freebies! February 17th - Featuring Michael Jordon Freebies! 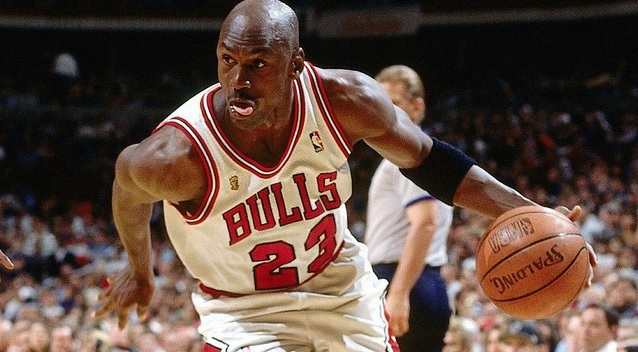 -- When most people think of Michael Jordan, they think of the incredible moments so ingrained in basketball history they have their own names: The Shrug, The Shot, The Flu Game. But for all his greatness, there's also a dark side to Jordan: a ruthless competitor, a gambler. There's never been a biography that balanced these personas - until now. • Michael Jordon Basketball Poster -- The size of this poster when fully assembled is 118.8 x 84 cm (46.7 x 33 inches). This Image is made up of 8 separate paper panel sections. High quality reproduction print. Printed onto 250 gsm thick satin paper. Unique wall decorations designed to brighten any space. - You know what to do... perform a few random acts of kindness. Almost any kind deed will do. And, we highly recommend you perform kind acts on as many people as you can. People like the idea of showing a little kindness to others. It is a fun and good thing to do. And, they like being on the receiving end of this day as well. It makes both the giver and the receiver feel good. - Cafe au lait is French for coffee with milk. The same drink is called cafe latte in Italy and cafe con leche in Spain. It is made with a 1:1 or 1:2 ratio of dark roast brewed coffee to heated milk or half-n-half. Add sugar to taste! - Did your mother ever used to tell you when you were a teenager the world does not revolve around you? Well today it does! Today is My Way Day, the official day to do everything your way. Sleep in late, eat whatever you want, and take the longest, hottest shower you can stand. Whatever you decide to do, make sure no one else influences your decisions today. Do everything simply just because you want to do it (but just make sure it's legal first). - Hundreds of people have their opinions as to who we are. Today is the day we decide who is right. Today we determine our identities all by ourselves. - On February 17, 1933, after much fanfare and build-up, Miss Boopadoop married her boyfriend Dagwood Bumstead, the son of a wealthy industrialist. Unfortunately for the Bumsteads, Dagwood was disowned by his upper-crust family for marrying beneath his class. Virtually overnight, Blondie became a domesticated, middle-class family strip, and has remained one ever since. - On February 17 at 3:00 PM EST, we will hold two minutes of silent meditation throughout the world and beyond, to focus on the true spirit flowing through everything. Please join us in silence to bring the energy of universal healing and peace into the hearts and minds of all humanity. - Founders Day is a reminder of the substantial role the PTA has played locally, regionally, and nationally in supporting parent involvement and working on behalf of all children and families. It is a time to reflect and take pride in our many accomplishments, and to renew our commitment to be a powerful voice for all children, a relevant resource for parents, and a strong advocate for public education.